I have been keeping you up to date in the high fructose corn syrup (HFCS) false advertising case and the latest news will leave you laughing. After failing to gain approval from the United States Food and Drug Administration (FDA) to change the name for HFCS to “corn sugar” and then failing to stop a major national lawsuit against them, corn refiners Cargill, Archer-Daniels-Midland (ADM), Tate & Lyle Ingredient Americas and Ingredion have filed a counterclaim against the Sugar Association. The counterclaim hilariously argues that the trade group – one of the plaintiffs in the original suit – has harmed them by publishing statements on its website that HFCS is meaningfully different from natural sugar. What a joke. Are you laughing as hard as I am? 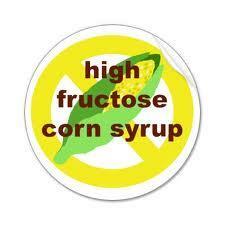 Science has shown us that HFCS is different from natural sugar. Plus, I am left wondering how the corn refiners have been harmed? Since 1970, U.S. per capita consumption of sugar has dropped by almost 40 percent while per capita consumption of HFCS has increased by more than 1,000 percent. The fact that American consumption of high-fructose corn syrup fell to a 20-year low in 2011 is not a function of this lawsuit, but one of consumers doing their homework on the facts surrounding HFCS. The original lawsuit, Western Sugar Cooperative v. Archer-Daniels-Midland, Co., was filed in April 2011 by a group of sugar farmers to stop a multi-million dollar marketing campaign attempting to lead consumers to believe that HFCS and sugar are in fact, the same. 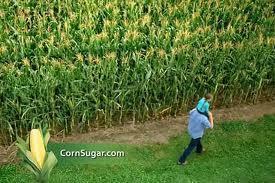 The sugar farmers claimed that the HFCS advertising was false and misleading because it: (1) described HFCS as “natural” although advanced technology is required to transform corn starch at the molecular level; (2) called HFCS “corn sugar” although the FDA reserved that term for an entirely different sweetener; and (3) claimed that “your body can’t tell the difference” between HFCS and sugar, although numerousscientists have reached the opposite conclusion - despite the ads from the corn refiners targeted to confuse consumers and increase sales. Even the federal judge presiding over the lawsuit late last year ruled that the sugar farmers had presented enough evidence demonstrating “a reasonable probability of success on their argument that the statements are false.” In July, the federal court also rejected an effort by the corn refiners to have the case against them dismissed. This conclusion was lent scientific support by a recent study by researchers at the Universities of Florida and Colorado published online in Metabolism, which showed that compared with sucrose (otherwise known as table sugar), HFCS leads to greater fructose systemic exposure and significantly different acute metabolic effects. Oh and the FDA forgot to say that is false advertising...but that will be resolved soon enough. More on this story as it comes available.